Clean the fresh (defrost if needed) pork belly under running water, ensuring that skin has been shaved of hairs. Combine all the brine ingredients in a pot. Bring the mixture to a boil on high heat, then lower the heat and simmer for at least 10 minutes, covered. Switch off the heat, and cool the brine completely to room temperature. Place the pork belly inside the Ziploc™ bag, then pour the brine into the bag to completely submerge the meat. Carefully remove as much air as possible from the bag and then seal it. Place the bag in a mixing bowl and then refrigerate it overnight. 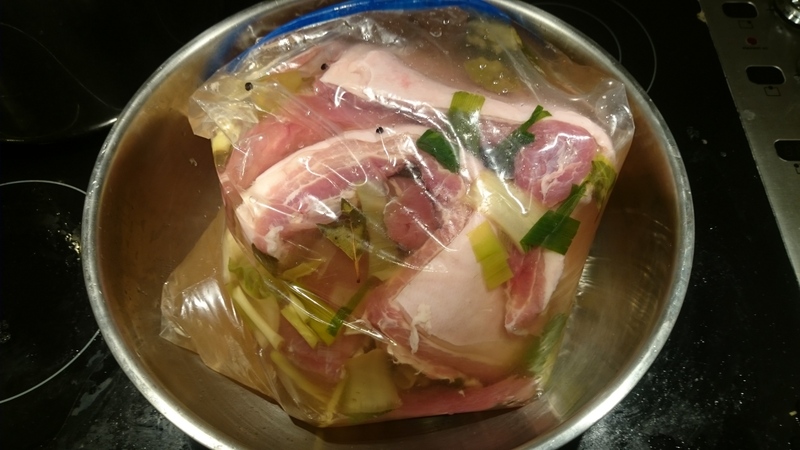 After brining, remove the pork from the brine solution. Discard the brine. Wash the pork under running water, then pat dry using paper towels. Carefully roll the pork belly slab along its length to form a u-shaped roulade, making sure that most (if not all) of the skin is exposed on the outside. 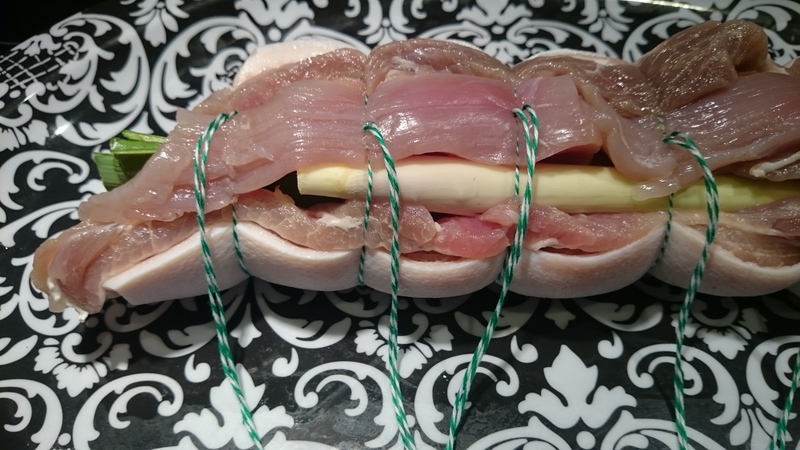 Secure the roll using cooking string/twine at regular 3 cm (~1 inch) intervals along its length. 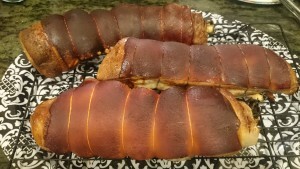 Set the pork belly roll on a tray, skin-side up. Using a basting brush, coat/paint the skin evenly with one layer of fresh milk. Repeat the coating/painting every ten minutes, up to one hour. Drain any excess milk from the pork belly roll. 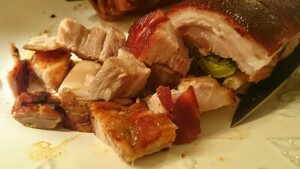 Wrap the pork belly roll with aluminum foil. Set the roll onto the rack of a turbo broiler. Cover the broiler, and then cook for 1.5 hours at 180 OC (~350 OF). Unwrap the pork belly roll. Increase the temperature to 250 OC (~480 OF), and then continue cooking for another 30 minutes. If necessary, rotate the roll every ten minutes to ensure even browning of the skin. Once the turbo broiler is done, transfer the pork belly roll to a wire rack and let rest for around 10-15 minutes. Serve with vinegar (plain or spiced).